In September, two things happen: deciduous leaves start turning color, and Providence Geeks reassemble after their self-imposed August hiatus. It is a glorious time of year. Tracelytics provides SaaS-based performance analysis and diagnostic services for web applications. Their key technology traces requests as they travel through each component of an website?s infrastructure, up and down the software stack and across machines, resulting in intelligent, actionable insights that help find bugs and pinpoint performance bottlenecks. 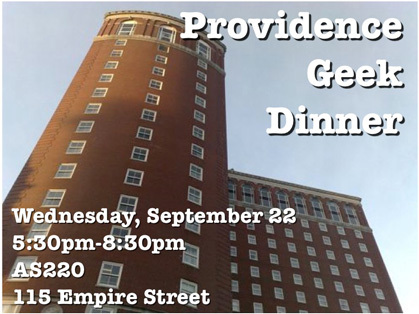 At the September Geek Dinner, the Tracelytics team will give the first public sneak peak ever of their exciting technology and business strategy. Full disclosure: Tracelytics (yes, like Manpacks before them) is a member team of the 2010 class of Betaspring, a Providence-based startup accelerator, in which I am a proud partner.